Synopsis Detective Inspector Somerfield is called to investigate the unusual case of a banker who fell to his death whilst breaking into his own house. Was his wife asleep at the time, as she claimed? Is this case linked to the disappearance of 'Big John', a loan shark whose corpse is found in another family's vault, or to his assistant who has been run over and his body flung in a ditch? Somerfield investigates a suspicious fire in which the occupier of the premises allegedly dies, only to be seen in Spain by a police informer. He expects to unravel the mysteries when the man's guilt-ridden widow returns to England. Fred Hucknall, bitter and lonely after the death of his first wife, remarries, but his new wife soon leaves him, or so he tells his friends. But her body is found in an allotment and the evidence points to him. 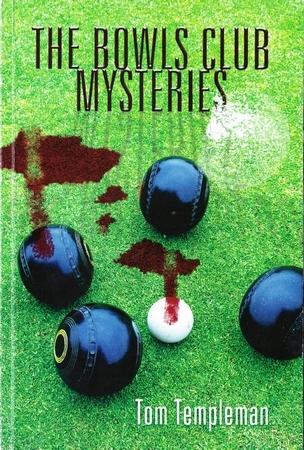 These cases are linked, not just because most of the protagonists are members of local bowls clubs, but in more subtle ways. Somerfield and his two team members, Detective Sergeant Mitchell and Woman Detective Constable Sam Rawkins, strive to unravel the mysteries and discover where the real guilt lies.